Entrepreneurs often have the ambition to go out on their own, but so many fail due to the lack of planning. With no higher-ups to report to, guessing is often all a business owner can do. Sure, you might be making all the right moves, but is there any way to know for sure? Getting organized is one of the very best ways to make it through your day, while also taking away some of your stress at the same time. Take a minute and go over some of the options available to you. You'll be surprised how much better you’ll feel once you get your business in order and organized. Yes, there's an app for that. Among the hundreds of organizational applications you can put on your phone, there are quite a few that are dedicated exclusively to business. Have a look at a few options that are available to you right now. Wunderlist: A simple app that will keep track of your daily schedule so you don't have to worry about missing anything. Expensify: An expense tracking app that helps with everything from uploading receipts to reimbursing your employees. Box.com: An app that allows you to edit and share important documents with your whole team no matter where they're located. Recruiterbox: Only read resumes that fit your needs with this app and save your valuable time for something more important. Trying to stay on top of your daily routine is going to be difficult if you don't have a system. 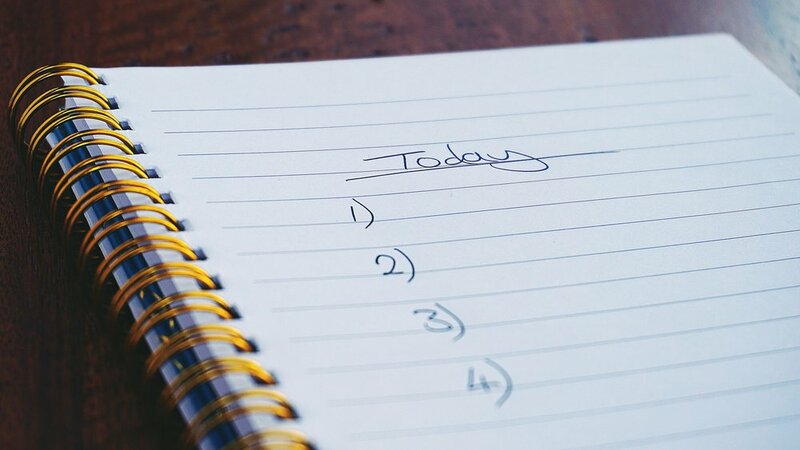 Successful entrepreneurs have techniques that they use to keep themselves organized. For example, putting all your tasks into batches of similar types will help you complete them without getting overwhelmed by everything at once. You can also try the five-minute rule. If you have a task that you know will take less than five minutes, get it out of the way so you can get it off your mind. There are many techniques you can use to keep your business organized. Start with a range of different strategies and see what works best for you. There are a few tried and true items that many businesses use to stay on top. After all, if you can't stay organized yourself, how can you expect your employees to stay organized? Skype is a great way for people to communicate around the office without having to pull out their list of phone extensions. If your business is still growing, try Dropbox. It has the ability to store, share, and archive all your files so you'll never have to be concerned about misplacing anything. It can also be used on any device so you can access your files anywhere, anytime. Using tools like these will only benefit your company. You'll wonder how you ever made it without them. You of all people know that being an entrepreneur is hard work. You have what must seem like a million tasks that all need to be taken care of by the end of the day. Organization is a key element to your success. If you put aside some time now to implement the tools and methods like the ones mentioned here, you'll see a vast improvement in no time at all. Your business might be your entire life right now, you should do everything you can to start making it better. Want more guidance on starting your business? Schedule a FREE, 30-minute discovery call with me. Contact me today! It's not about a “good" or "bad" time when it comes to starting your own business. It's about knowing it's time to start doing what you KNOW you're good at and love to do. Over 600,000 new businesses start annually, but the number that close is nearly the same- with 20% of new businesses failing in their first year. The causes of early failure, including lack of experience and capital, unexpected growth, and lack of skills contribute to about half of all startups posting that unfortunate "Out Of Business" notice after five years. As kids, we heard the question over and over, "What do you want to be when you grow up?" Finding your business niche requires the same, basic, start-from-the-beginning approach. If no niche exists, you are able to create one. Research the culture, geography, competition and current and potential client base. Regardless of your passion, your business venture remains a fantasy without a clear understanding of where you work, the problems your business solves, how your business fits in, and your target customers. Now that you have a niche: cultivate your customers. Is your customer base mostly young, professional, and dependent on fast information tied to their technology? Are they retired, with more time, money and leisure to peruse your products and services? Every client group needs a customized marketing strategy. Whether it's flyers and business cards or tweets and Instagram postings, your niche needs exposure to generate capital. Do this for the love of the job first. It's lonely going out on your own at the start. Long hours, money going out for expenses and little, if any, coming in, and you’re a proud owner who's also the marketing director, IT person, office manager, HR director, finance director, plumber, trash hauler and light bulb changer; not to mention person with other interests. Sticking with this niche means you want this above all else in life right now. Time and money matter but perseverance comes first. Setbacks are temporary, and turn to failures when you don't learn from them and move forward. Providing yourself sufficient funds to get through the startup period is important; so is setting aside time to understand where your business works in the current climate. Perseverance is the ability to see the situation through to the next successful stage, regardless of criticism or crisis. It's not what's said or what happens that matters as much as how you handle it and move forward. Test, test, test the market; prepare to fail, and then succeed. When you're ready, advertise your business and set up a website landing page for specially-priced pre-sale offerings. This provides the opportunity to test the market's interest in your business, generate sales and receive feedback before opening your inventory to all clients. Prepare for disappointment if no one's interested; it means starting over with new, untried ideas, taking a chance on implementing a riskier but more appealing marketing strategy. Also, prepare for extreme success: selling out of products, overwhelming back orders and the head-shaking success rush that either buries your business under too-great expectations, or propels you forward from a niche to a national success story. I offer a FREE-of-charge 30-minute discovery call. Let’s find a way to make your business niche truly successful, Contact me today! It's not easy to have the world rest on your shoulders. No matter how hard you try or how much you give, you are never able to relax. Your business has become your entire life and if it fails, you fail. Day after day, all you feel you’re looking ahead to is more worry. Whether it is a battle to get out of bed in the morning or frightening thoughts of suicide, people everywhere can be taken down by their own psyche. Entrepreneurs are often at a higher risk for mental illness. Between the intense pressure the job places on them to the daunting lack of support, it is a wonder anyone makes it at all. Thankfully, in the wake of mental health awareness, there are more options than ever for people struggling to get through the day. Here is some helpful information about why entrepreneurs have such a difficult time and what they can do to get help. An entrepreneur is a person who puts together a business while taking on great personal and financial risk. It should not come as a surprise to know that this type of job is exceedingly stressful. The daily challenges faced, as well as the constant fear of failure often makes people forget why they even began their venture in the first place. It takes an immense amount of bravery to take this leap, and it often leads to a person needing a little extra help along the way. You might tell yourself that every job is stressful- you are just “going through a rough patch” and it will go away eventually. Thoughts like these are often a sign that something is wrong. If you have to consistently convince yourself that everything is fine, then it is most likely not. To really determine what is going on with you, it is essential to know the difference between stress and anxiety. 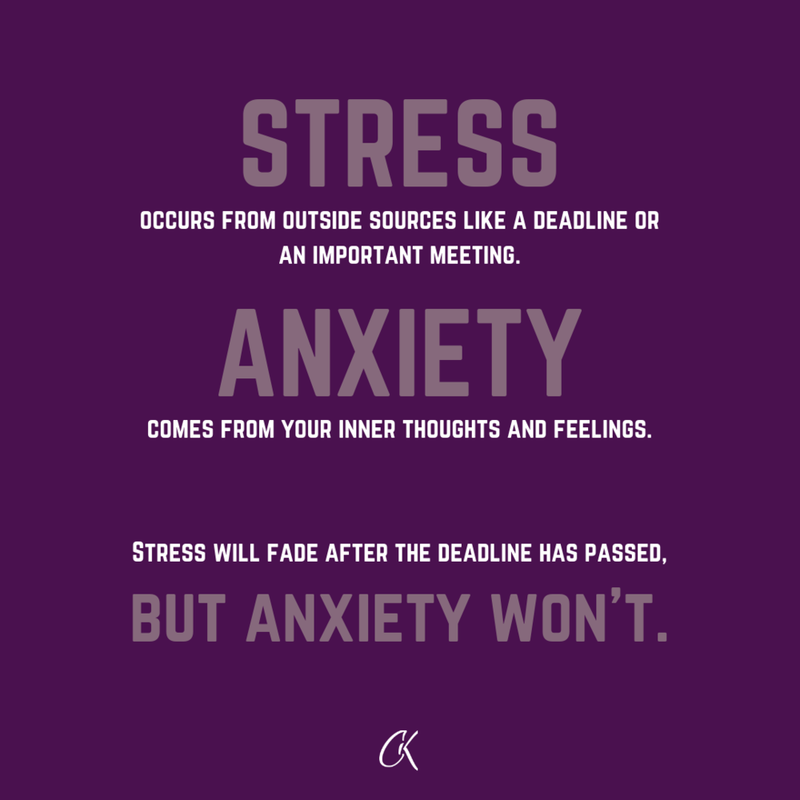 Stress occurs from outside sources like a deadline or an important meeting. Anxiety comes from your inner thoughts and feelings. Stress will fade after the deadline has passed, but anxiety won't. Take a moment for yourself to really think about what's bothering you. If it is not coming from anything external, you may want to consider getting help. There are many options available to those who need professional advice. Sometimes all you might need is a neutral party to talk to. Other cases can be more serious and need to be treated with medication. It can be unnerving to consider the fact that your mind might need fixing, but the sooner you seek out advice, the better. Licensed therapists and psychiatrists are around to help anyone through a difficult time. The stigma of mental illness had been on a slow, but steady, decline in recent years leading to both research and understanding. Luckily, this means that there has never been a better time to acknowledge your problems and find a way to solve them. You were fearless when you decided to start out on your own. You knew it was not going to be easy, but you never expected this much difficulty. There is no reason why you should have to suffer in silence. Use every tool at your disposal to ease the tension and calm your mind. It is a big step to admit you need help, but as soon as you do you'll realize that the hardest part might just be behind you. Don’t let stress control your life or your business. Schedule a call with me today and let’s talk through this together. Entrepreneurship can be one of the most exciting and rewarding ways of living. The downside is that you may not always know where your next meal is coming from. How do you keep yourself motivated when times get tough? One of the biggest problems you’ll face as a female entrepreneur is remaining confident through all the adversity. It’s already intimidating enough that you’re trying to start a business from scratch, but what’s more intimidating? The little percentage of women who actually succeed in their business endeavors. Did you know that only 2 percent of billion-dollar companies are owned by women? Now, this may seem discouraging, but guess what? It used to be zero. It used to be unheard of for a woman to lead and it’s only going to keep growing. There’s this stereotype about women that infers that we are lesser than a man, but that is the farthest from the truth. What sets a player apart from making junior varsity or varsity? It’s who trained harder. It’s who kept learning more skills and practiced day in and day out. It’s the person who wasn’t going to take no for an answer. The same goes for starting a business. Don’t take no for an answer and definitely do not let your gender make the decision for you. We are in a time period that is advocating for women to become anything and everything they want to be- the problem is, you’re always going to have the no-sayers. If you believe in what you’re doing and you see the potential then don’t cut yourself short! You’re going to have days that are hard and there’s going to be things that you don’t know how to do. It’s going to be frustrating, exhausting, and mentally-draining, but it will all be worth it. Seek help where it is needed and keep feeding your brain with positivity. Strive for the billions, sisters! I offer a FREE-of-charge 30-minute discovery call to see where you need guidance in your entrepreneurial career, Contact me today!